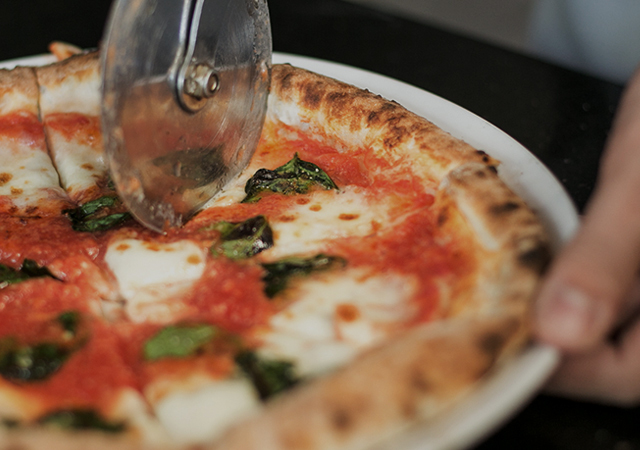 Known as the first house of Pizza 4P’s in Vietnam, but not many people know Pizza 4P’s Le Thanh Ton was in-fact united from 3 houses. Began from the 8/15 Le Thanh Ton house, thanks to the enthusiastic supports from our very first customers , after one and a half year, we planned to expand it to the next house of number 8/13. Under the sketch of Joe Chikamori, the first Pizza 4P’s store was designed in a very original style. Therefore, to let the next-door house harmonize well with the former version, we once again invited Joe to create a new special space for our expansion. On this expansion project, we planned to have a new waiting bar, Pizza counter and unique seats. Have a look from outside, the general design of this new address evokes to a tunnel, with arched ceiling above and small alley below that leads to the mysterious space at the end. The intention of Joe is to creates a warm corner that “brings customer to the warm seat which as if wrapping them”. He linked the waiting bar at the entrance with the Pizza counter at the back by a rising-slope lobby. 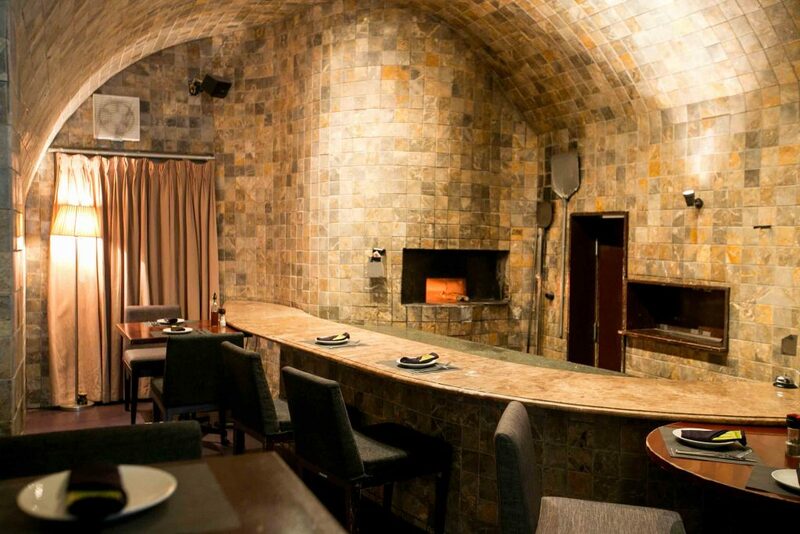 Meanwhile, the arched ceiling was designed slope down to where the new Pizza counter is located. And the final meet between the curve ceiling above and the lobby below brings up a cozy atmosphere for seats around the new Pizza oven. Also, high seats are placed in the slope lobby to deliver a new experience for our customer. A key point that plays an important role of this design is the material. Because this is an expansion project, then innovation is good but it should be considered with how this new design connects with the old one. 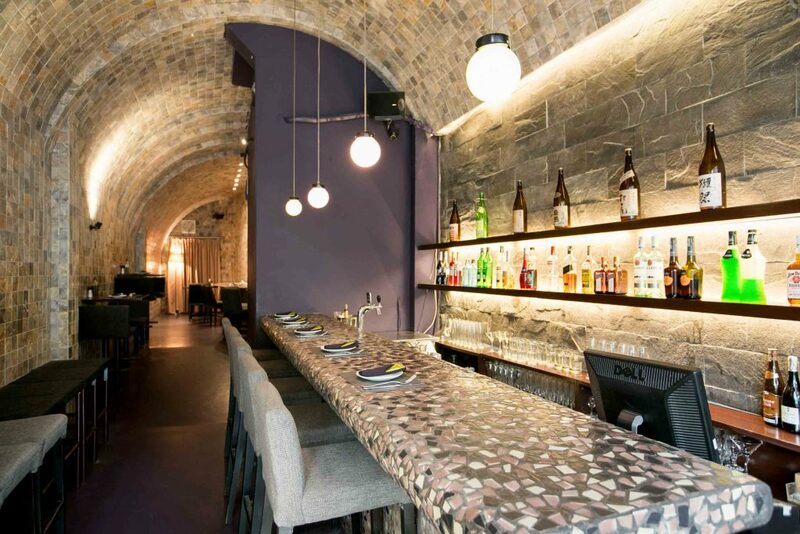 And what made up the original spirits of Pizza 4P’s 8/15 are clearly the warm tone, deep blue purple color and stones on the walls (see more at our 8/15 design: https://pizza4ps.com/activities/822/). Joe created a new style but still blends with the existent design by combining these original materials. 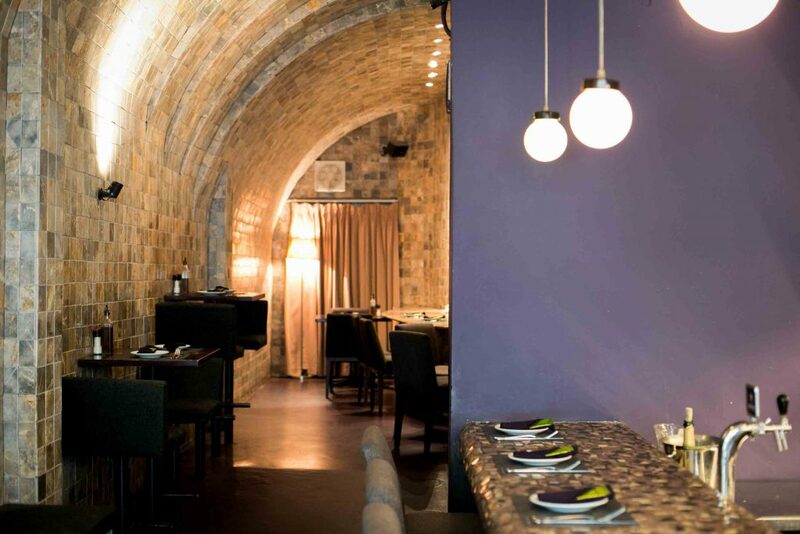 He united the curve ceiling and the wall by cladding marble stones while connected the floor to the existent restaurant by the symbol purple color. And finally, the waiting bar is the new unique spotlight with the crashed tiles that are placed one by one carefully. After a specific time of the first restaurant, our founders learned more and more about restaurant business as well as Joe also got more experiences in creating in Vietnam. So it took plenty of meetings between us and our architect to come to the final agreement. And it did cost a half year for Joe to think about the design for this 50m2 restaurant. We hope with our efforts in design could also bring up happiness for customers when dining at our restaurants.